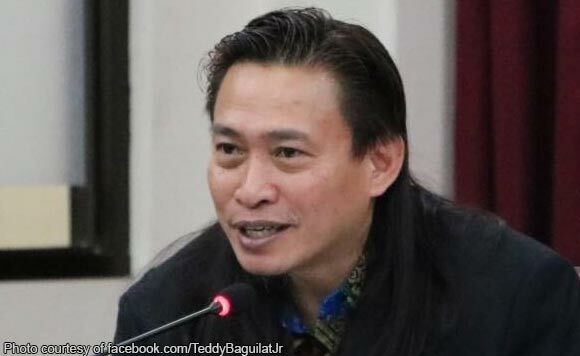 Ifugao Representative Teddy Baguilat Jr. is a diehard Fighting Maroon! The politiko could not help but cry when the University of the Philippines (UP) Fighting Maroons forced a do-or-die game with Adamson in the Final 4 of the men’s basketball tournament of the UAAP Season ’81. “Watched UP vs ADamson game on YouTube. What can I say? Kakaiyak,” said Baguilat. He’s now looking forward to the game that will determine if UP will head on to the finals on Wednesday, November 27. “Sa Wednesday, whatever happens. Proud Maroon. #NowherebutUP #Dipatapos #Atinito,” said Baguilat.